Celebrate the love between you and your partner when you select one of the Vegas marriage packages from Chapel of the Bells. 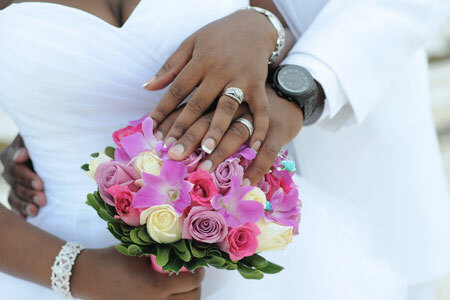 Our wedding and renewal packages were carefully created with the specific needs of the bride and groom in mind. It is our goal to make your wedding day unforgettable. Whether you are getting married for the first time or are renewing your vows, we are confident that you will be able to find the perfect wedding chapel packages in Las Vegas at our chapel. It is our job to ensure that you experience a stress-free wedding. You can select a package with the services you desire to make your day special or create a custom package to fit your exact needs. 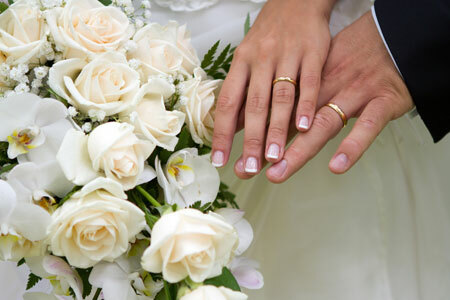 Some packages include a fresh bouquet, a DVD recording of the ceremony, and even transportation to and from your hotel. 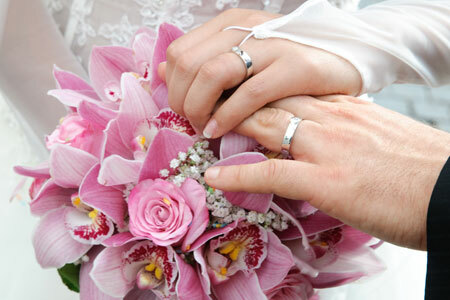 Call us today at (792) 735-6803 or (800) 233-2391 to inquire about our Las Vegas marriage packages. Since you were little you've dreamed of a beautiful wedding. You will soon realize these packages will result in the wedding of your dreams with no hassle to you and your family. There are many wedding chapels in Las Vegas, but Chapel of the Bells stands out. Located right on the Las Vegas Strip, our staff are committed to elegance and affordable luxury. Our wedding packages make it simple to get all the features you want; simply scroll below to reserve your preferred packages. Executive Car Transportation from your hotel, to the Marriage Bureau for your marriage license, to our beautiful chapel for your ceremony and back to your hotel. Yes!...The Minister's Fee is included. Executive Car Transportation from your hotel, to the Marriage Bureau for your marriage license, to our beautiful Las Vegas wedding chapel for your ceremony and back to your hotel. *Note to our Customer: All Our Weddings have a Complimentary Photo Shoot of 40+ posed pictures upon request. There is no obligation to purchase. You can purchase prints individually or in one of several picture packages. You can also purchase a Master CD of ALL your photographs. Purchasing a Master CD gives you all copyrights and privileges. Deluxe Packages do not include ministerial arrangement fees and all weddings are subject to a service charge and applicable tax. Custom Wedding Packages are available.